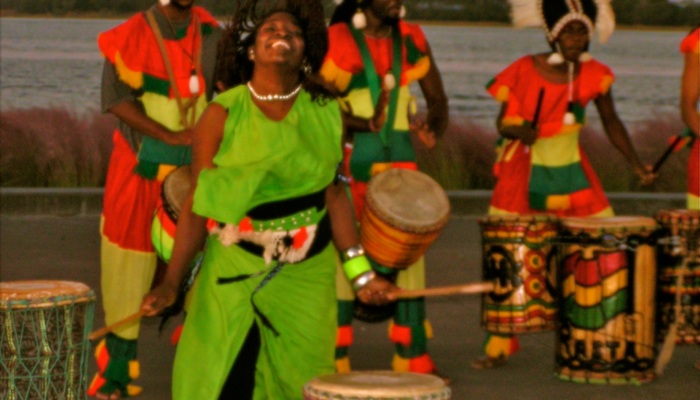 Wona Womalan West African Drum & Dance Ensemble* honors the authentic integrity of West African musical arts. Wona Womalan shares its knowledge and appreciation of this beautiful and ancient tradition by bringing the music and dance of Africa to people of all ages. Fode Moussa Camara founded Wona Womalan West African Drum & Dance Ensemble in 2009. The company, based in Charleston, South Carolina, is comprised of 14 drummers and dancers. The members of Wona Womalan play traditional West African instruments including djembe, Doundoun, sangban, and kenkeni. The music is influenced by traditional Guinean rhythms but our style is distinctive, especially our all female Dun-Dun (Bass Drum) section. The music is energetic and performances are interactive. The pulse of the music speaks to everyone because it contains elements of life common to all people.